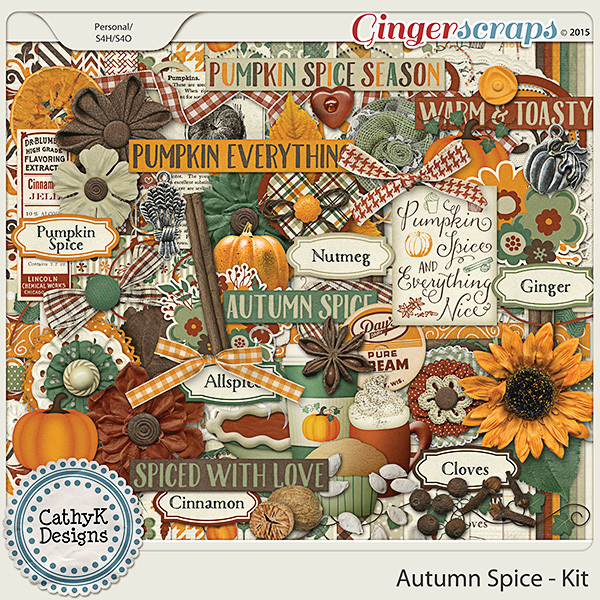 Get these kits by CathyK Designs for just $2 each today, October 23. 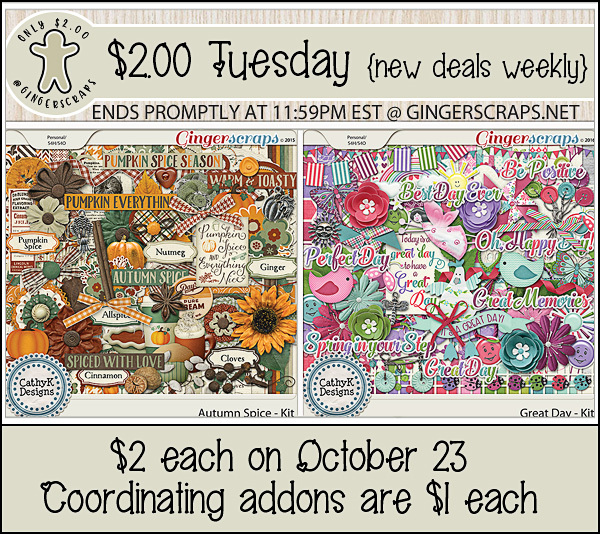 Coordinating addons are just $1 each. 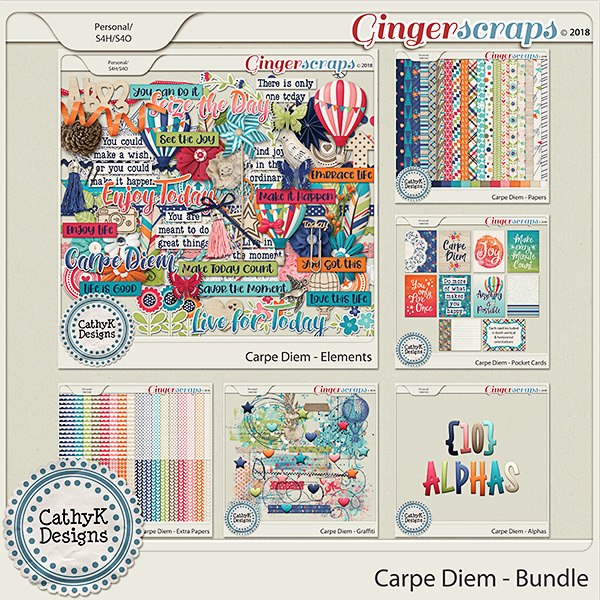 My Carpe Diem Grab Bag has been unpacked, so the kit and addons may be purchased separately for 30% off through October 25. Or grab the full bundle at an everyday discount of 50%. Collection includes Papers, Elements, Pocket Cards, Graffiti, Extra Papers and Alphas. Just look at all the amazing layouts created with this collection!